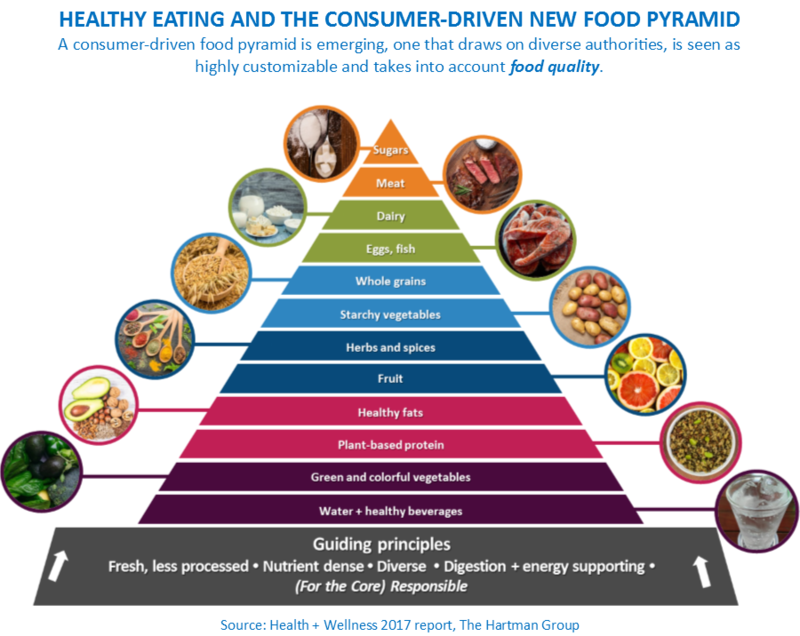 When it comes to healthier eating, today’s consumers are building their own version of a grand food pyramid. What happened to the USDA’s pyramid scheme? A few years ago, the USDA replaced its food pyramid with MyPlate (yes, a plate) as a tool to fight the obesity epidemic and promote healthier eating choices and lifestyles. For all the food pyramids and food plates that exist, what The Hartman Group’s own research has found over the years on obesity and weight management is that Americans simply do not eat according to scientific formulas. 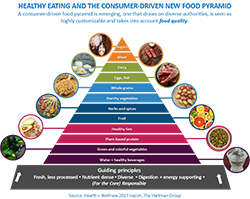 Today, however, the principles of the food pyramid are what consumers often think of as presenting traditional advice for healthy eating. So, guess what? 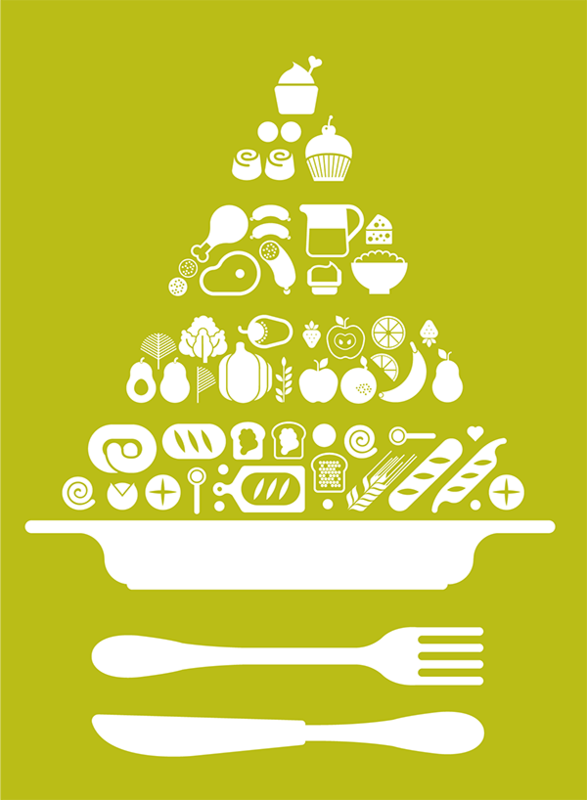 Consumers are building their own version of a grand new food pyramid. Beyond that most primal of needs (eating), issues such as what we eat, how we eat and when we eat are up for grabs. While many cultures have historically enacted powerful norms regulating these concerns, consumers in the U.S. have demonstrated little regard for such control. Today, healthy eating remains the center of most consumer notions of health and wellness. The Hartman Group’s Health + Wellness 2017 report finds that for most, healthy eating is defined by fresh, whole, less processed foods, which consumers believe retain more of their nutrients. This emphasis, along with the continuing reversal of attitudes around sugar and fat, has undermined consumer trust in “traditional” dietary guidelines, represented by the USDA’s now-retired food pyramid. Consumers across the spectrum of health and wellness have redefined this pyramid to align with new knowledge, personal dietary regimens and perceived deficiencies. The focus on fresh, less processed foods means that many find their own beliefs at odds with those of traditional authorities. This is particularly true of governmental guidelines, which many consumers view as conservative, slow to change and likely even compromised by industry.